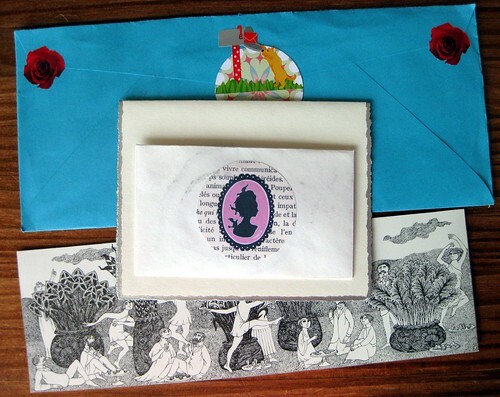 This February blog reader letter included some great paper and mail art, a lovely little letter, and even a handmade valentine! 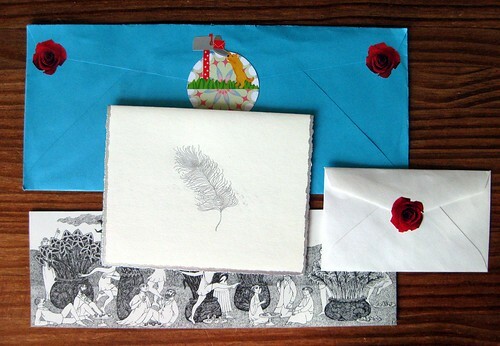 The silver feather card really captured my fancy, and she also included a handmade Edward Gorey bookmark. 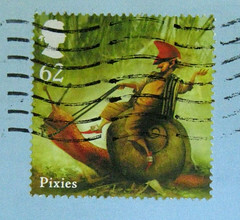 The smaller envelope sealed by the rose sticker is the valentine. 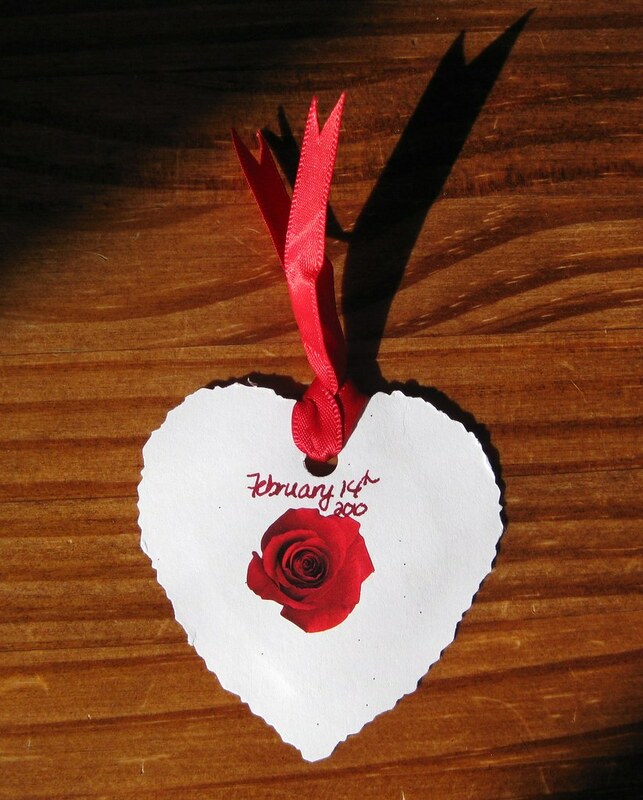 Here's another view of the contents, where you can see the front of the valentine. More valentine, complete with - ooh la la - red glitter! Zoe, I was wondering whether anyone would point that out... I have a sort of strict "post on blog in order of photos taken" rule, so yeah, I am behind. But we knew that, didn't we? Wow! I didn't realize you had that rule, I just thought you had just come across this and decided to blog about it. Haha Zoe read my mind! 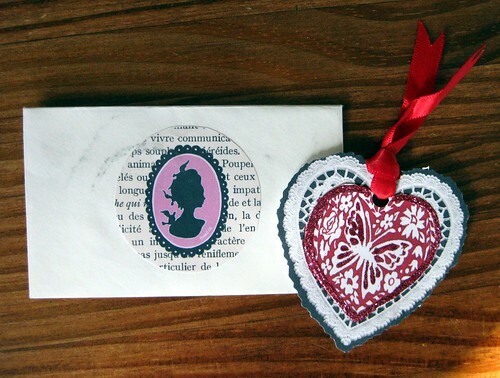 Maybe I should send you a Halloween-themed letter now so that you get it on time ;) I love the profile on that Valentine--did the sender mention whether it was handmade or purchased? I wonder how hard it is to make a handcut profile. Anyway, good luck, and I hope your workload becomes more manageable!